The Pastel Journal is an American magazine dedicated soley to the medium of pastel. Catering to both professional and amateur painters, this magazine provides instructions and inspiration. Each issue is full of outstanding pastel reproductions along with useful information on contests, exhibitions and workshops. Combining literary essays with artistic composition, The Pastel Journal is the only magazine of its kind. You’ll find contemporary works accompanied by in-depth features on the artists themselves. Step-by-step photos of how the artists created their paintings will teach you new techniques and inspire you to try new colors and styles. 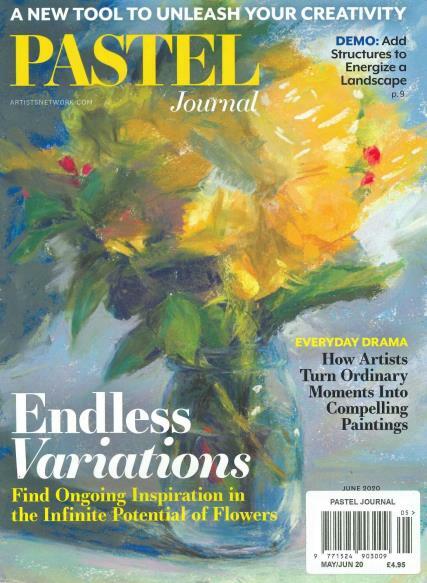 With a calendar of pastel shows and reviews of pastel products, the Pastel Journal is an essential read for individuals who want to become better, more successful artists. My favorite medium so I was delighted to find a magazine totally devoted to pastels. It has given me lots of new ideas to try.